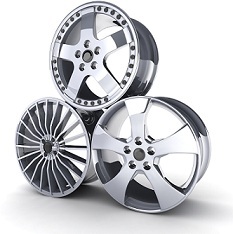 At GM Specialist, we stock a wide selection of custom wheels for customers in Yuba City, CA, Marysville, CA, Plumas Lake, CA, and surrounding areas. Use our wheel configurator above to see how different rims look on your vehicle make and model. Our inventory includes off-road wheels built for your next adventure. Have questions? Call (530) 755-9700 to speak with a member of our staff, or simply contact us online. Before you start shopping for a new set of wheels, use our wheel buying guide below, and consider the advantages and disadvantages of different wheel materials in order to find the best wheel to suit your needs. At GM Specialist, we stock a wide selection of wheels for customers in Yuba City, CA, Marysville, CA, Plumas Lake, CA, and surrounding areas.